The quiet simplicity of Sujatha Gidla’s first words sets the tone for a work of towering merit. They speak as much of lives lived extraordinarily, as they implicate us, its Indian readers, in rendering these stories unremarkable through our apathy. Her debut book ‘Ants Among Elephants: An Untouchable Family And The Making Of Modern India’ (Farrar, Straus, and Giroux, 2017) recently won the Shakti Bhatt First Book Prize. Disarming us with her unfettered, unemotional voice Gidla tells of her family’s journey from the forests and fields of the Andhra-Telangana region to the shunned periphery of untouchable villages fringing the city. She traces their hope-filled participation in the freedom movement that brought every Indian shoulder-to-shoulder upon the battlefield, to arrive at that critical moment in history when a freshly formed nation was at the cusp of greatness. The protagonist of the book, Gidla’s illustrious uncle, the veteran communist, and legendary poet K.G. Sathyamurthy who wrote under the pen-name Shivasagar, is the focal point of this sprawling narrative. His life and adventures as a political activist shape its flow as it swells from the story of one family to the flaming pulse of an entire region under the siege of India’s cruel and oppressive caste system. Sathyamurthy’s disillusionment with post-independence India marks the pivotal point that swung him towards his lifelong career as a radical communist. It is his description of that moment of lucidity that lends itself to the title of the book. 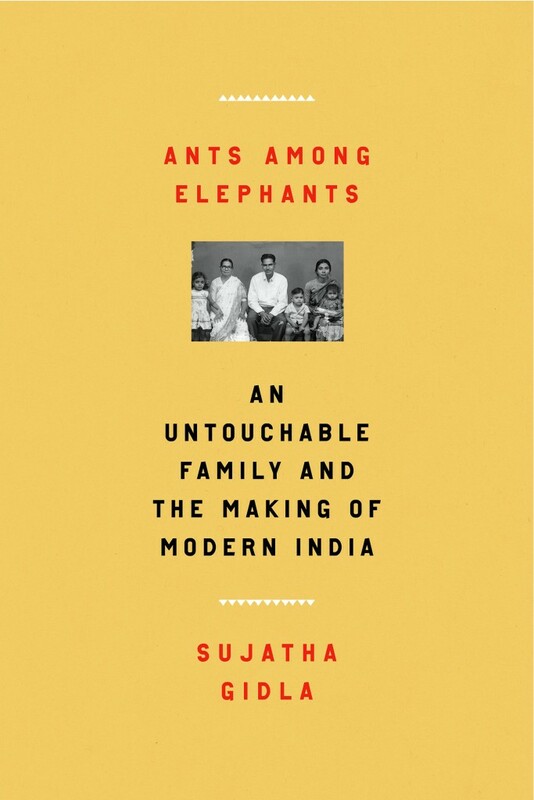 Ants Among Elephants is how Sathyamurthy, or Satyam as he was commonly called, saw himself and others disenfranchised by the caste system in a new India that was poised to shake off the shackles of colonisation and lead its people into a future of freedom and prosperity. Satyam is portrayed as a visionary of imposing intellect, whose frail appearance and small stature belie the fiery rebel within. He is gentle yet impassioned, loyal and fierce, and he has the uncanny ability to ignite and mobilise large crowds. Set against the impulsive risk-taking mercuriality of Satyam, his sister Manjula — Sujatha’s mother — is the second protagonist of the book who matches Satyam equally in intellect but follows a life path that is in stark contrast to his. As an untouchable woman, Manjula comes to believe that the only way of absolving herself of the circumstances of her birth is by attaining an elusive vision of virtue. She keeps a low profile, submitting to every limit imposed by her brothers and father, in the seeming hope that her goodness will render her invisible or imperceptible to the machinations of caste. Ants Among Elephants book cover. Courtesy Farrar, Straus, and Giroux. Meanwhile, Satyam breaks taboos at every available opportunity. From inciting and leading students into revolt against college management to publishing inflammatory essays against wealthy and powerful upper caste hindus, he is fearless in his pursuit of an illusory idea of equality. To an extent, he is even able to escape the constraints of his circumstances on the strength of his dreamy disposition, his quick wit and rousing oratory. An incisive strategist, Satyam has the remarkable ability to realise every flight of political fancy that takes hold of his conscience. Manjula, inversely, grapples with the daily degradations that the caste-disenfranchised are subject to with predictable regularity. Manjula is subject to every fetter this unfair world has to offer, as an untouchable and as a woman. She is the face of countless Indians who bear the crushing weight of being marginalised on every front of existence. She is also the image of grace and dignity in the face of this marginalization — at a great personal cost. This rhythm of juxtaposition carries seamlessly into Gidla’s story-telling. The story of her family — the personal narrative — is shorn of embellishment, raw and so palpably close to the skin that it is easy to slip into the lives of her characters, suffer their daily indignities and mirror a rising resentment for every assault on their humanity. Set against this is her grandiose narration of the wider political environment and its oppression of communities across the region. Gidla adroitly elevates stories that we have heard and read countlessly in newspapers and learnt to glance over and forget. Stories that dehumanise their principal characters, relegating them to nameless, faceless statistics in barely visible columns. Gidla recasts these stories as fascinating, macabre fairy tales that force one to reckon with the predatory perpetrators of this oppression. Her description of the dora system is particularly chilling. “O Brother and sister, mother and father, this is the story of Telangana. Once there was a king who ruled the kingdom of the Deccan in southern India. The Deccan was a realm of silk and pearls and diamonds and gold. …But even so, how was it possible for anyone to be blessed so much in excess of any other human being ever born? In the kingdom of the Nizam was a young couple who had a little son. They woke him up one morning to get him ready for a trip. His mother bathed him and fed him with her hand. She dressed him in his best and they set out on the road. She told him they were going to a fair where there would be toys and sweetmeats. As she said this, her eyes filled with tears. They walked through the alleyways passing the mango grove and the streets of the village. Finally they came to the dora’s gadi (landlord’s fortress), They kissed their son and held him in their arms one last time. Then a door beside the main gate opened. The child was put into the hands of someone belonging to the dora’s household. The door closed upon them. The couple turned and walked away. Their son would never come home to them. O brother and sister, mother and father, this is no folktale set in a distant past. It was real life in Telangana in 1947 when Satyam came to know of it. Under the vetti system, every untouchable family in every village had to give up their first male child as soon as he learned to talk and walk. They would bring him to the dora to work in his household as a slave until death. Sujatha Gidla (c) Nancy Crampton. Courtesy Farrar, Straus, and Giroux. Gathering characters and events at breathtaking speed, spanning wide stretches of time at a gallop, the book can be overwhelming. Every page teems richly with incidents and people, each significant in the larger plot-line, making it an exhausting, often relentless read. But the rewards are rich, and one comes away with a beguiling sense of having borne witness to an entire era through a lens which if it wasn’t handed to you by your own family, was puzzlingly, embarrassingly, and, painfully absent from every source conceivable. What remains, long after, is a sense of betrayal. By history itself. It is not surprising then that one is also easily swept by the frenzied subscription to radical action and armed revolution. Sujatha’s (and later her uncle’s) long-standing tussle with the mechanics and feasibility of radical Marxism is deeply evident. It is possibly the book’s weakest point — her anaemic denouncement of her uncle’s political path, and her subsequent uneasy departure from it. And its strongest perhaps, for it refocuses one’s attention to the cesspit of misery and abuse to which a significant part of the country has been purposefully and viciously condemned in full view of a nation. And it leaves you wondering, why after over seventy years of assuming nationhood, we still haven’t found our way out. Himali Kapil lives and writes in the New York metropolitan area. Read her exclusive interview with author Sujatha Gidla in Vol. 19: The Other Side of Papercuts magazine online. 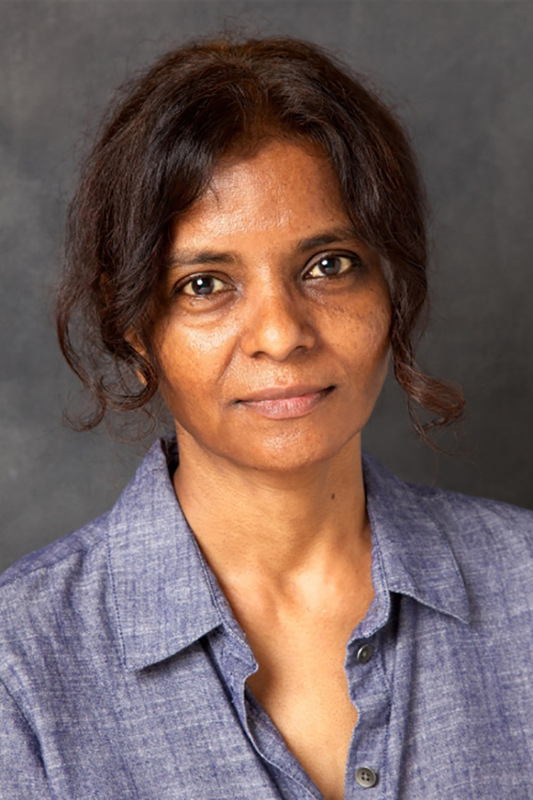 This entry was posted in Book Reviews, South Asian Writing and tagged ants among elephants, caste, dalit, India, non-fiction, south asian writing, sujatha gidla. Bookmark the permalink.